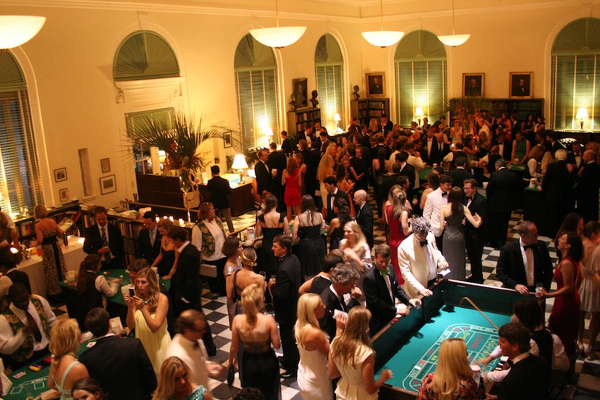 The Library Society may be rented for a wide range of events, including weddings, receptions, club meetings, corporate events, and more. 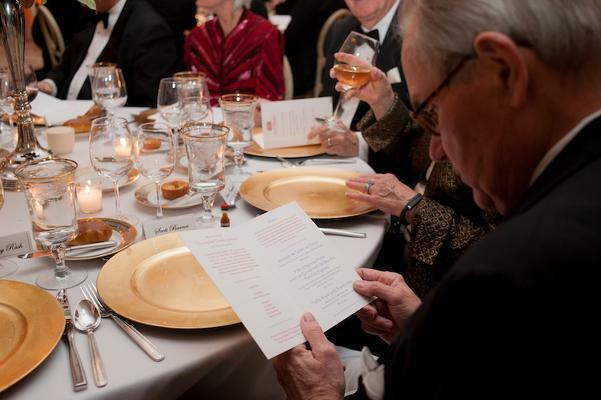 For further information on renting the Library Society for your next event, please contact Anne Cleveland by phone - 843.723.9912 or by email - acleveland@charlestonlibrarysociety.org. For pricing and contract form, please click here. Handsome black and white marble floors compliment the skylight of the two-story ceiling in the Main Reading Room. Its beloved card catalogue, charming book stacks, glass catwalk and Palladian windows make this a venue unlike any other in Charleston. Beyond the Main Reading Room of the Library lie additional, convenient spaces in the Barnwell Annex and the Ripley-Ravenel Building. The Barnwell Annex is a former home and business, and was converted to library use in the 1960s. The Ripley Ravenel Building sits behind the 19th century facade of the Carolina Rifles Armory and contains the Bischoff Lounge and the Research and Writing Center. Perfect for small lectures and conferences that require audio-visual presentations, the center offers a more intimate setting than the Main Reading Room. Welcoming Huguenot settlers and refugees from Santo Domingo, colonial Charleston quickly established a rich French heritage. One of the first purchases made by the Library Society was a French-language copy of Montesquieu's Spirit of the Laws; works by Voltaire and Rousseau quickly followed. The French Room is now home to hundreds of volumes in our French language collection and several antique French maps of the South Carolina coast. Inspired by DuBose Heyward's beloved children's book, The Country Bunny, murals adorn the wall of this charming, old-fashioned library setting. Perfect for tutoring sessions, birthday parties, or relaxed fun. Long used as meeting space for the Society's Board of Trustees, the Ross Fellows Room is a treasure within a treasure. 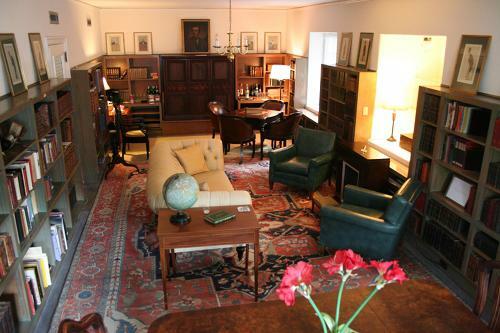 Furnished through bequests from Mary Jane Ross and Josephine Pinckney, the room is home to some of the Library's rarest gems, both literary and visual. Rental of the Ross Fellows Room requires membership in the Library Society's Association of Fellows.